If you already have a mobile-friendly website, is an app a necessity? Contributor Daniel Cristo says you only need one if you don’t want to fall behind the competition. The safest answer is always “It depends …” but I hate that answer, so I’d like to try and convince you that you do, indeed, need an app today, even if the payoff happens tomorrow. Twelve years ago, as a college sophomore, I took a web design course. During the course, a classmate came up to me and told me that he liked my work, and he knew a business owner who was looking for someone to redesign his site. One thing led to another, and the classmate and I soon opened a boutique web design shop. After we finished the first job, we decided a good way to drum up sales was to go door-to-door to each business in town, asking if they needed a website. We probably stopped by 100 businesses, and not a single one was interested (thankfully, my salesmanship has improved since then). One of the sales trips stands out in my mind, even to this day. It was a Chinese buffet restaurant on the main street in town. I asked to speak to the owner. I didn’t want to argue with the guy, and I was pretty nervous anyway, so I just walked out and went to the next store. I can look back today and chuckle at the owner’s ignorance. Of course he needed a website — he just didn’t know he needed one, because he didn’t understand the potential that a website held. In all fairness, it was 2002. There was no Yelp. There was no Facebook, Groupon or YouTube. Digital photography was not readily available to the average person; so, most websites looked bad and functionality was worse. But, even so, most savvy business owners knew that having website was a good move. My point is that while businesses in 2002 didn’t depend on websites and the internet as they do today, those that saw the potential and started building a web presence early benefited the most when consumers finally shifted their behavior to be more digital. This is exactly where we stand today with mobile apps. Those who think they don’t need a native mobile app because their site is mobile friendly are missing the huge potential apps have over websites. When was the last time a customer took a picture of your product with your website? When was the last time your website notified a potential customer of a sale as they walked by your shop? When was the last time your website told you how a customer felt when they saw your product for the first time? When was the last time your site told you the name of that customer who just walked through your shop’s door? When was the last time your site adjusted the price of an item based on a customer’s social influence? When was the last time a customer tried your product on, virtually on your site? Biometrics, geo-location, cameras, sensors, augmented reality, 3D gaming… these are potential game-changers that already exist natively in mobile apps — features you won’t find on a traditional website. Not only that, but new functionality that we haven’t really thought of is going to be available to apps much sooner than they are for an HTML-based site, if ever. Even if you don’t take advantage of those features today, just being on the right platform gets you 80% there. Let me ask you a question: Which is easier? Getting 100,000 new people to find, download and sign up for your app, or getting 100,000 people who have already downloaded your app to update it? I hope that you would say it’s easier to update your app. After all, you already have their email address, and the platforms themselves prompt people to keep their apps up to date. Even if you do nothing more than deliver a native reading experience for the content on your existing website, you can at least start building your app’s install base today. And with that install base will come ratings, comments, feedback and usage metrics that build trust and credibility with the platforms in the same way that aged links do with older websites. Then when the shift happens and consumers are looking for apps with that killer new feature, you can focus on simply updating your app with the new feature while your competition scrambles to find a developer who can start building them an app from scratch. I want to be clear about one thing — building an app isn’t all roses. 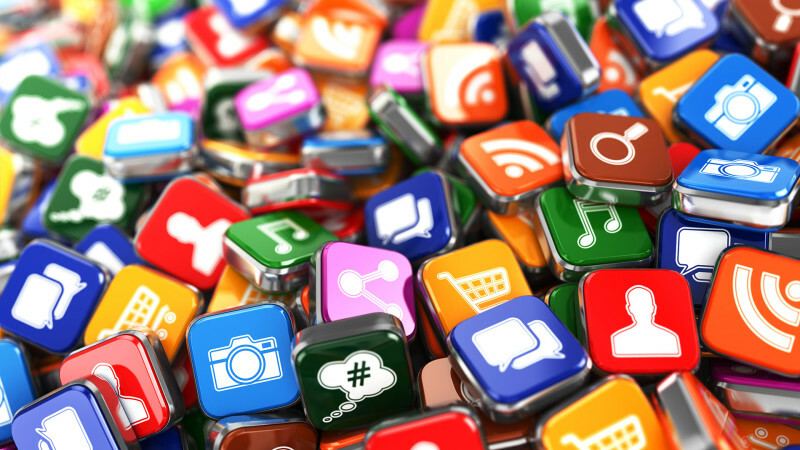 It takes a significant amount of time, money and energy to build an app that people want to download and use. Even after you build the app it will need to be marketed and supported by your company. These are all elements that need to be figured out at some point and then planned for. It’s how companies stay competitive in today’s marketplace. Look at it this way — if you can’t set aside the budget and resources for an app today, will you be able to do so when your sales are declining because customers “all of a sudden” decided that they prefer using your competitor’s app over your old website? This is a not a tactical decision about whether $30,000 in app development has a greater return than $30,000 in website improvements. It’s a strategic decision to invest in a platform that can support the business infrastructure of tomorrow’s generation in the same way your website has supported your business for the last generation. The app boat has already left the harbor. It’s not that you can’t wait for the next one, but if you do, is it going to delay your business to the point where you can’t catch up with the competition when you really need to? Do you think that web technologies will keep pace with native mobile apps, or will apps ultimately force the retirement of its older web cousin?